San Francisco Catering | Aroma Buena Catering: Quality caterer of Hispano World Cuisine, Traditional, California Local. We are San Francisco caterers and cater the SF Bay Area. 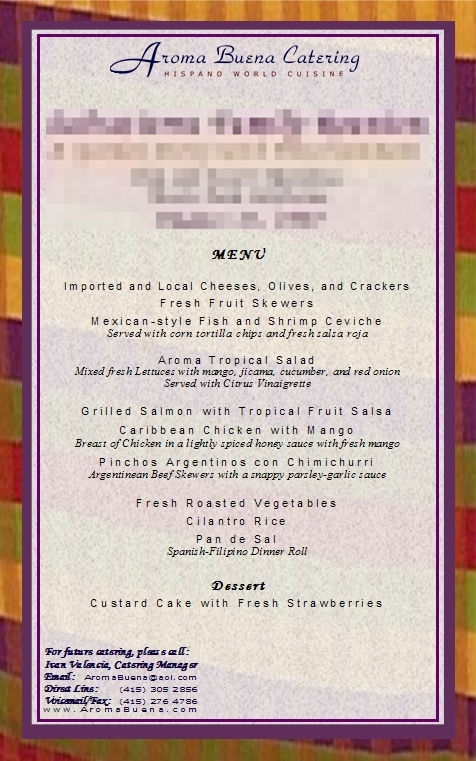 Sample of Actual Client Menu from Previous Events - Dinner - Menu ID 858136. Aroma Buena Catering, Inc., A California Corporation. All Rights Reserved.